Brusly's Richard Leblanc competes during last week's Westside Relays. Quantity yielded quality for the Port Allen boys track team last week at the Westside Relays. The influx of additional competitors from the basketball and football programs helped lead an already solid Pelican squad to a strong finish in their Westside Relays April 11 at Guy Otwell Stadium. PAHS amassed 186 points to win the meet, outpacing Northeast (104), Brusly (79), Central (43), Catholic-Pointe Coupee ( 20), Livonia (17), Thrive Academy (10), Avoyelles (10 and St. John (7). The timing proved perfect for Port Allen. 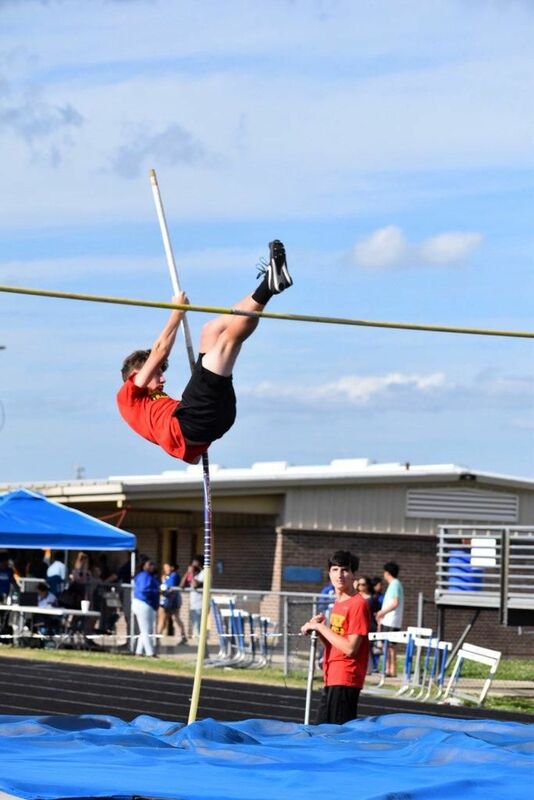 The strong showing gave the Pelicans a boost both physically and mentally as they headed into the district and regional legs of competition, en route to the state meet May 3 and 4 at LSU’s Bernie Moore Track Stadium. Murphy followed in the footsteps of his father – a standout in the late 1990s – when he won the 300-meter hurdles (45.17), triple jump (45-2), long jump (21-6.65) and part of the one-mile relay team – also including Teshon Henderson, Tyran Williams and Gerrod Franklin – that won first place. 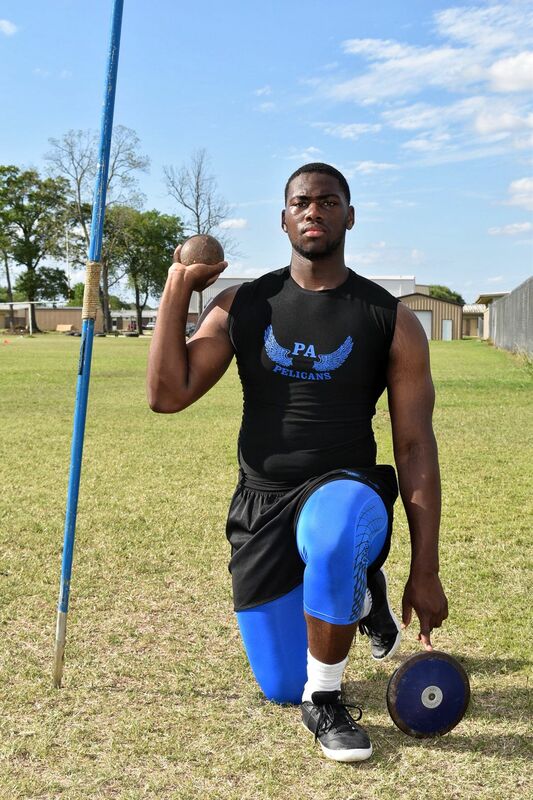 Traveon Scott continued to flourish in the field events with a first place in the discus (154-9) and shot put (47-7.50). Other leaders in the running events for Port Allen included Marcus Joseph in the 100-meter (11.28), Mekyle Franklin in the 200 (22.95) and Ke’Shawn Henderson (55.96).